I’m not sure that you could call it ‘Radio’ in the sense that we as Amateurs understand but there are a growing number of online radio receivers now available on the internet for people to tune into. These sites are popular with Amateurs in the USA who have very strict planning restrictions for antenna’s literally leaving them without any other means to access a radio. This WebSdr is located at the Nantwich Secret Nuclear Bunker, formerly R.A.F. Hack Green, now a working museum. http://www.globaltuners.com/receiver/ This site requires registration but it does give you access to a wide range of radios. http://stream.pe2mc.nl/ This is a Dutch site that gives you access to a variety of repeaters around the world including a few UK Dstar repeaters. http://beta.remotehams.com/ This site is quite interesting, you register and download an application that allows you to RX and TX via VOIP. 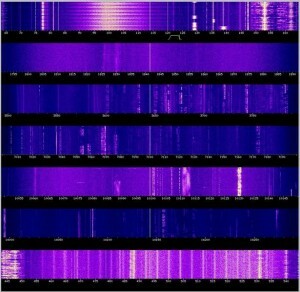 The sites mentioned above tend to be conventional receiver, WebSDR is a Software-Defined Radio receiver connected to the internet, allowing many listeners to listen and tune it simultaneously. http://websdr.radio.it/ is an Italian SDR that you can use, It works well. You will require the latest version of Java installed to run this site. This is a great resource, although some of the links are dead. It lets you select your region of choice e.g. Europe, North America or ‘other’, which is the rest of the world. WebSDR was first conceived as a means to make the 25 m radio telescope at Dwingeloo available to many radio amateurs for EME reception. 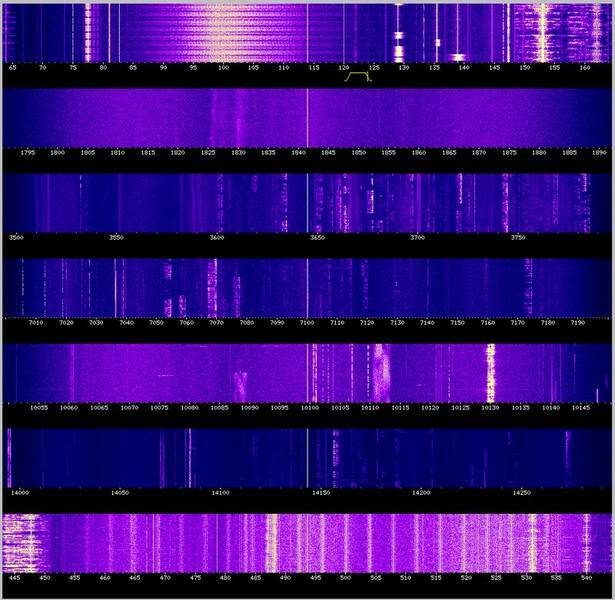 In order to test a preliminary version of the software without using the 25m dish, a shortwave WebSDR was set up on Christmas Eve 2007 at the radio club of the University of Twente. After further development, its existence was publicly announced in April 2008. Interest for the project has been large since then, and many amateurs worldwide have expressed an interest in setting up their own WebSDR server. In November 2008, a beta testing phase has started with a few selected stations. The software is made available to anyone serious about setting up a server; contact PA3FWM, for further information. A WebSDR server consists of a PC running Linux and the WebSDR server software, a fast internet connection (about a hundred kbit/s uplink bandwidth per listener), and some radio hardware to feed antenna signals into the PC. This radio hardware is typically a quadrature mixer connected to the PC’s soundcard, like the popular SoftRock kits. http://www.scananderson.com/ This site lets you listen to emergency services broadcast from Sanderson county Indiana. http://www.dxzone.com/catalog/Internet_and_Radio/Police_Scanners/ This site has links to a great may police and emergency services web feeds.